Norway is a spectacular country of majestic fjords and breathtaking scenery. The fjords are beautiful whether you’re sailing through them or driving passed them, but to really appreciate their grandeur you have to see them from above. There is nothing more exhilarating and rewarding than hiking to the top of a fjord and seeing the view from such dizzying heights. Trolltunga is one of Norway’s most spectacular hikes. 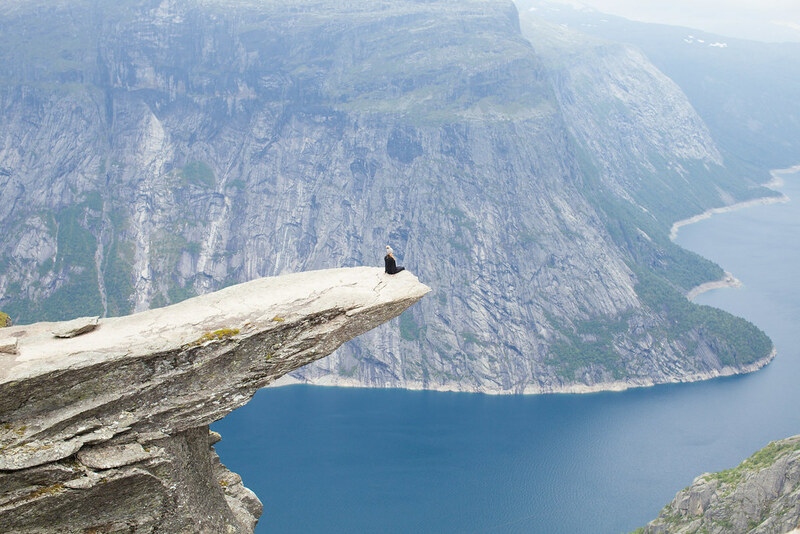 The iconic image of the Trolltunga ledge has become synonymous with Norway. It is an arduous and challenging ascent but the jaw dropping view makes every step worthwhile. Few words can describe the feeling of utter joy when you reach the top and see the valley below for the first time. Mount Kjerag sours majestically over the Lysefjord and offers breathtaking views over the fjord. 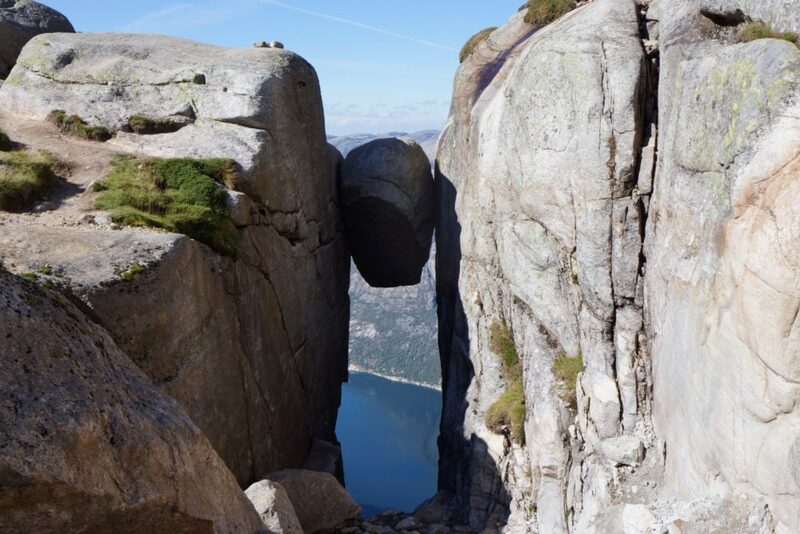 The highlight is the Kjerag boulder which is wedged between a crack in the mountain 1,000 meters high. Standing on the boulder is an overwhelming experience of fulfillment and fear. 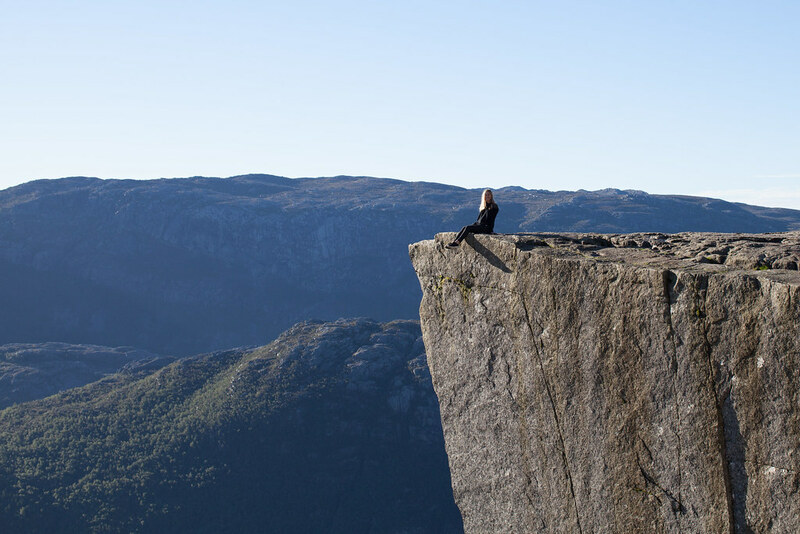 Pulpit Rock overlooks the Lysefjord and provides a platform for taking in the beauty of this breathtaking fjord. Bring a picnic to enjoy on the plateau and soak up one of the most beautiful views in Norway.